Lee Ann Baum, LMT, CS, offering massage, sound and energy healing, is a Licensed Certified Massage Therapist, a Sonatherapist, a Color, Light and Sound Therapist and a Reiki Practitioner since 1994. She has traveled from South Africa and Egypt to Japan to experience and learn the practice of sound and color therapies. Additionally, she spent one year in Nevada with Sonatherapist Gary Buchanan and afterwards with Cymatic Therapist Yukinori Matsushita, in Kurume, Japan. Additionally, she broadened her knowledge by studying at the Globe Institute of Sound and Consciousness in California and becoming a certified sound therapist. The only authorized institution in the world researching and developing the science of Sonatherapy is Steamboat Healing Center in Reno, NV. 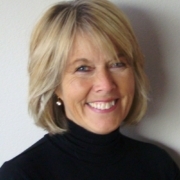 Now, Lee Ann offers this innovative and cutting edge Sound Therapy for the physical and metaphysical benefit of her clients at The Healing Place here at Greensquare Center in Glendale, Wisconsin. Other therapies Lee Ann offers are Crystal Bowl Sound Therapy, Aura Photography, Chakra Light Therapy, Massage Therapy, LaStone Therapy and Raindrop Therapy. Visit here for photos and more information about Lee Ann’s energy healing, Sound, Color & Light therapy, Crystal Bowl Sound and Chrakra Light Therapy, and other kinds of holistic counseling including prenatal. I sincerely welcome you to Greensquare Center for the Healing Arts. Here you can learn about me and my many cutting edge therapeutic services. With over 20 years in the field, I provide a world-class therapy that truly helps heal your mind, body and spirit. When experiencing a session with me, you’ll receive much more than you would in any typical massage setting. I have clients from all walks of life, from high-level executives to stay-at-home moms. No two sessions are alike, as I intuitively listen and learn how your body responds to my touch. Together we go on a healing journey as we discover exactly what works best for you and bring you the deepest levels of relaxation and inner peace. It takes a deep, intuitive understanding and connection between therapist and client to truly embrace and fully realize the healing and restorative power of bodywork. I consider it a privilege and a blessing to be able to make that connection with my clients. I invite you to experience my work which is at a deep, personal level.